We just wanted to thank you for all that you did on our very special Big Day! you were wonderful and the car was everything that I had wished for on my wedding day. All my bridesmaids loved it, and the younger ones enjoyed the treats you had for the journey to the venue. 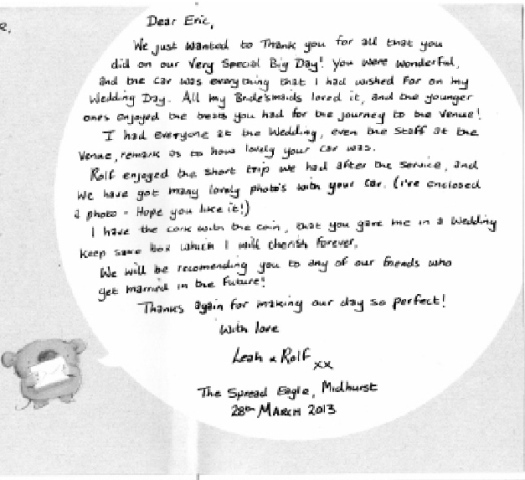 I had everyone at the wedding, even the staff at the venue remark as to how lovely your car was. Rolf enjoyed the trip we had after the service, and we have got many lovely photos with your car. (l’ve enclosed a photo – hope you like it) I have the cork with the coin that you gave me in a wedding keep sake box which I will cherish forever. I will be recommending you to any of our friends who’s getting married in the future. Thanks again for making our day so perfect! I just wanted to say thank you to the really helpful and friendly driver who did such a marvelous job in getting us safely and on time to and from home / church / venue, and also thank you for the overal service, which was reliable and excellent. 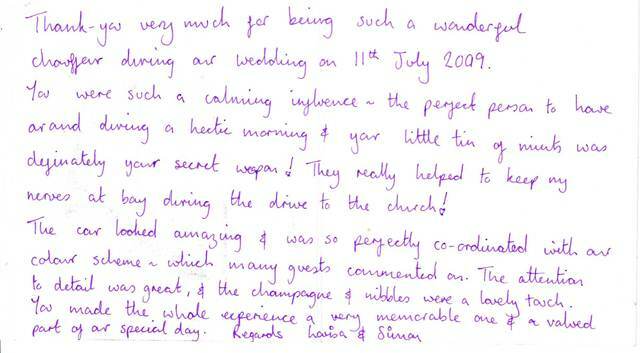 Thank you very much for being such a wonderful chauffeur during our wedding on 11th July 2009. You were such a calming influence – the perfect person to have around during a hectic morning & your little tin of mints was definately your secret weapon! They really helped to keep my nerves at bay during the drive to the church! The car looked amazing & was so perfectly co-ordinated with our colour scheme on which many guests commented on. The attention to detail was great & the champagne & nibbles were a lovely touch. You made the whole experience a very memorable one & a valued part of our special day. 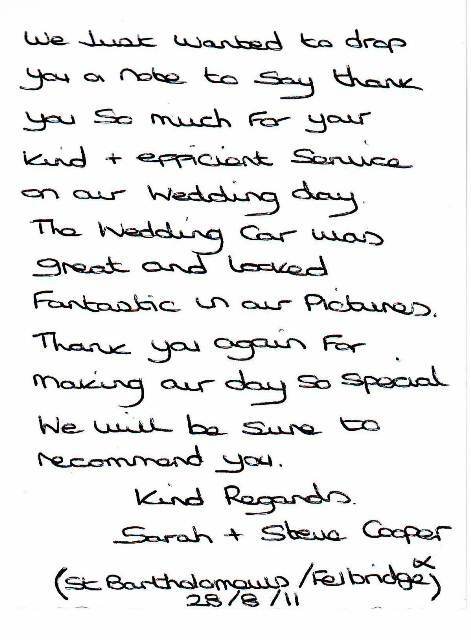 We would like to thank you for such a well looked after and beautiful car that you provided us on our wedding day – 29th July. It was an amazing experience for both of us and will be a long lasting memory. 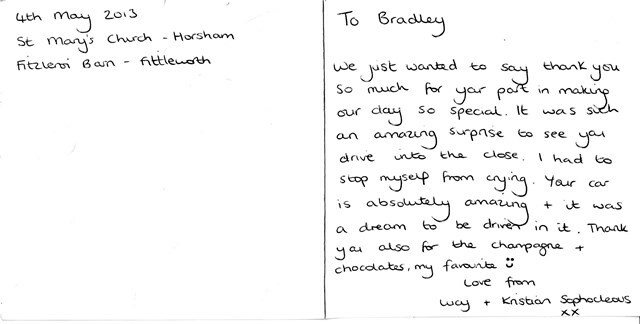 The service was efficient, reliable and personal – the champagne and chocolates were very much appreciated and added to the experience. We would like to help the drive too for being so helpful and friendly. 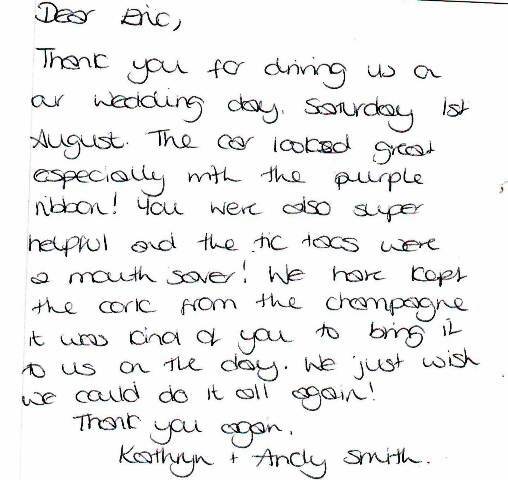 Thank you for driving us on our wedding day, Saturday 1st August. The car looked great, especially with the purple ribbon. You were also super helpful and the ‘Tik-Tacs’ were a mouth saver! We have kept the cork from the Champagne, it was kind of you to bring it to us on the day. We just wish we could do it all again! 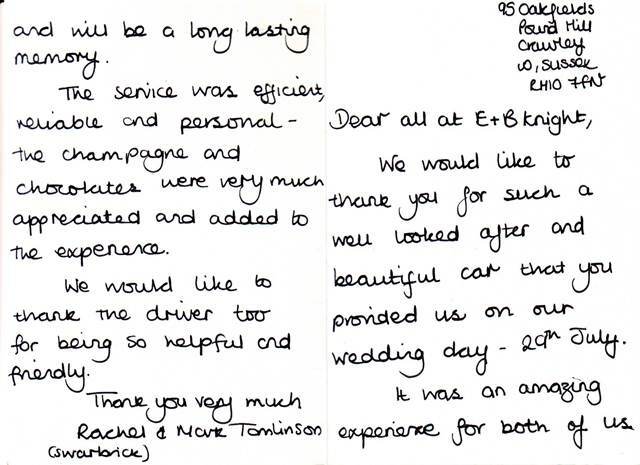 We just wanted to drop you a note to say thank you so much for your kind and efficient service on our wedding day. 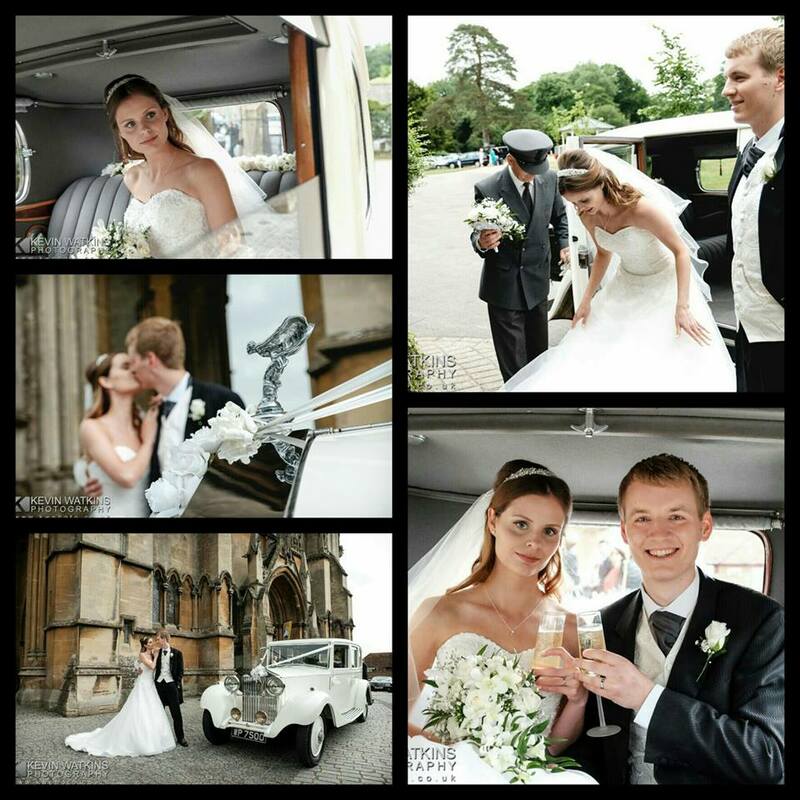 The wedding car was great and looked fantastic in our pictures. Thank you again for making our day so special. We will be sure to recommend you.